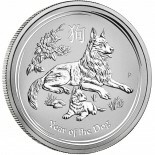 Perth Mint's very popular lunar series continues with this years Lunar Rooster. 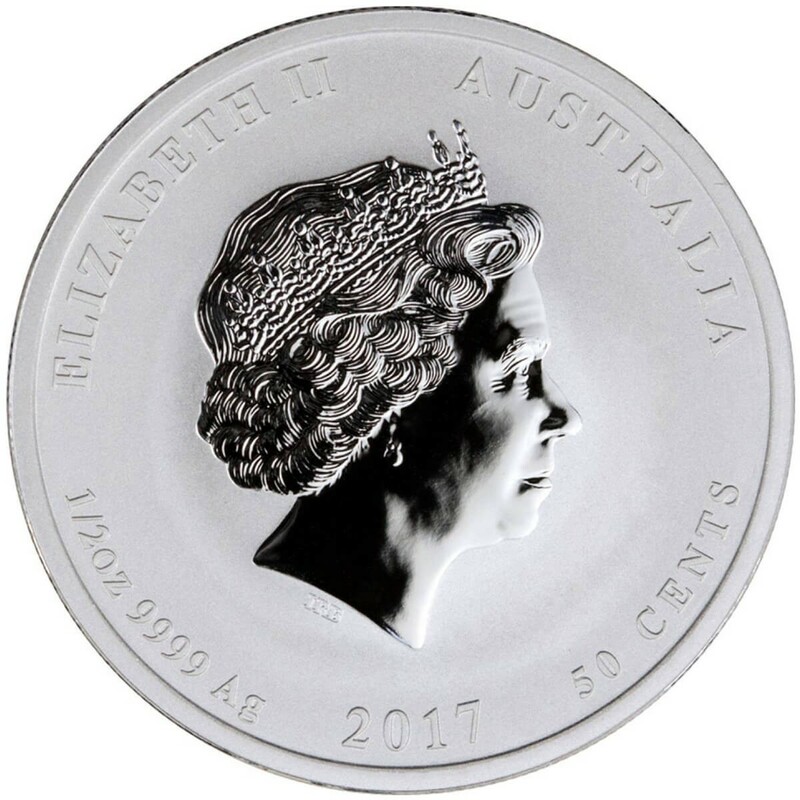 This .9999 pure coin from Perth has a limited mintage of only 300,000, making it a great coin to add to any collection. The coin features the effigy of Her Majesty Queen Elizabeth II on the obverse. 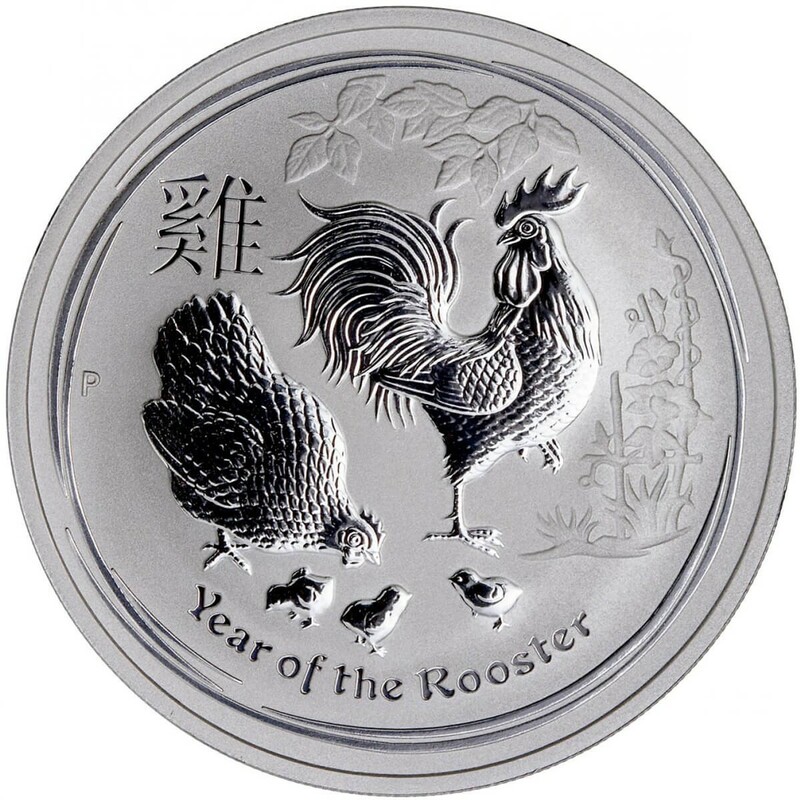 On the reverse, the "Year of the Rooster" design can be seen which features 3 chicks, a hen, and a rooster walking amongst bamboo and flowers in the background.